With industry approved hard floor cleaning methods, a professional cleaning and maintenance program for hard, smooth and resilient floor coverings is available. Compact Cleansing has considerable experience in cleaning, restoring and re-finishing all types of hard floor surfaces. 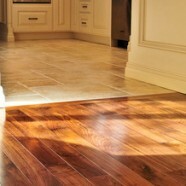 These include linoleum cleaning, hardwood cleaning and natural stone floor cleaning. Compact Cleansing’s hard floor cleaning service will not only provide a healthy environment for you and your family but will also prolong the life of your flooring. Industry approved and most advanced equipment and solutions. Safe and environmentally friendly cleaning solutions. Interested in Hard floor cleaning Services / Hard Floor Cleaners?